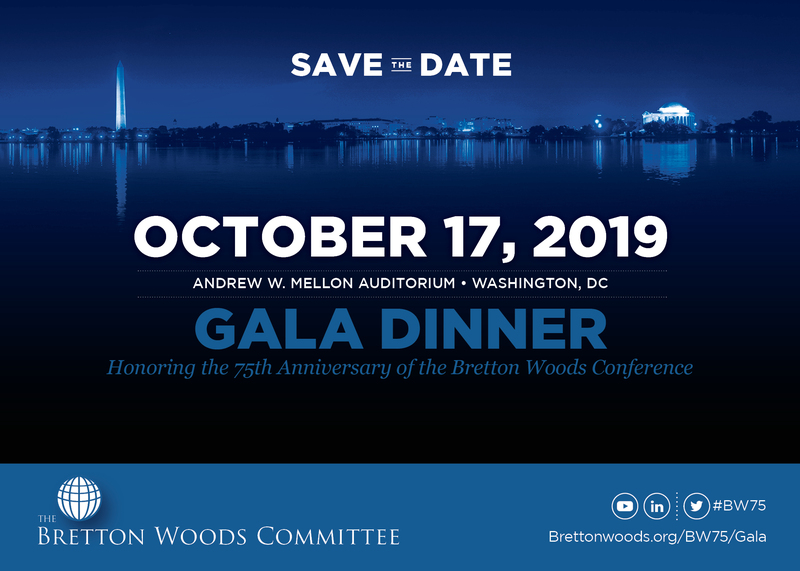 Bretton [email protected] culminates in a celebratory gala dinner on October 17, 2019 in Washington, DC at the Andrew W. Mellon Auditorium. The Gala honors 75 years of economic progress through the Bretton Woods system and institutions, and celebrates the spirit of international economic cooperation espoused in the original 1944 Bretton Woods Conference. The event will highlight the accomplishments of the Bretton [email protected] dialogue and position the Committee to continue to lead on multilateral issues on a global scale.